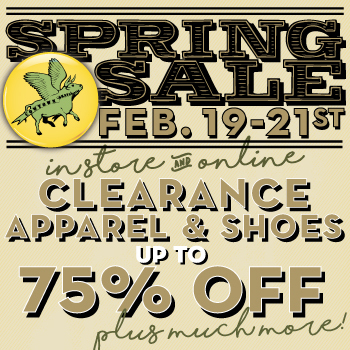 Our annual Spring Sale is going on now with specials in the shops and huge markdowns online! Ramp Jam & Art Show Friday Feb. 19th! 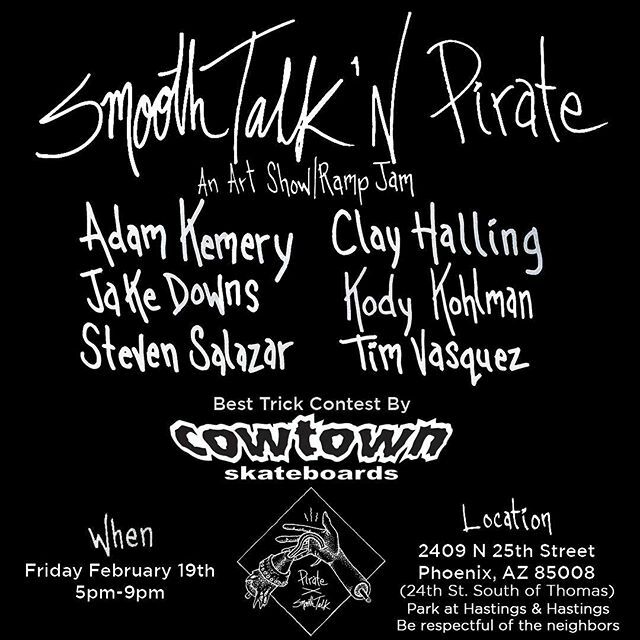 Smooth Talk and Pirate Co play host to this event full of art and shredding! Supra destroyed Elmo park and we've got video evidence.. Screaming Hand Art Show Recap! 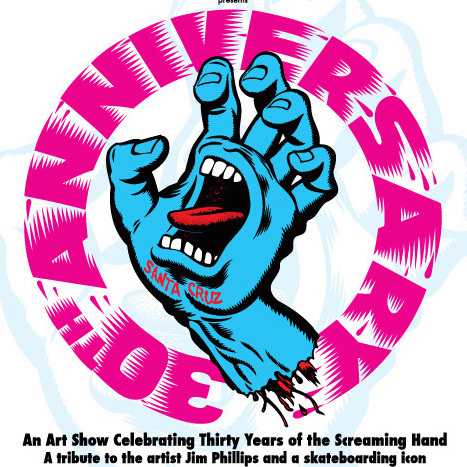 The 30th Anniversary of the Screaming Hand Art Show was a blast! Tickets for this year's PHXAM and PHXAM After Party are available now! 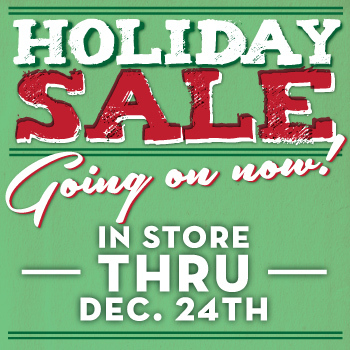 Valley Fever Saturday January 30th! 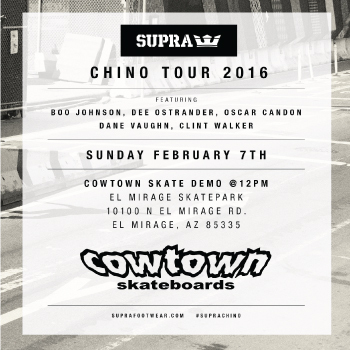 14 short and sweet skate videos packed into one video premiere..
Supra Demo El Mirage Feb. 7th! Forget the Super Bowl, come to El Mirage for the Supra demo! Cowtown X Deathwish 19 Year Deck Now Available! 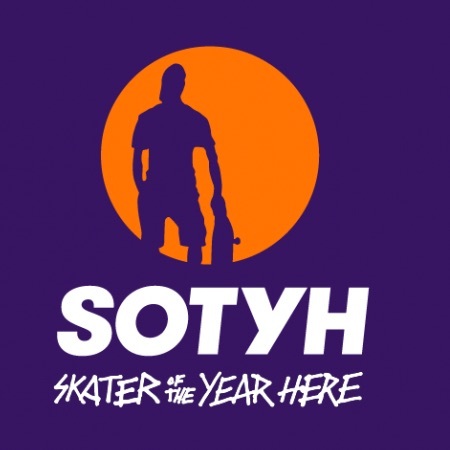 Dashawn Jordan is SkateAZ's SOTYH! 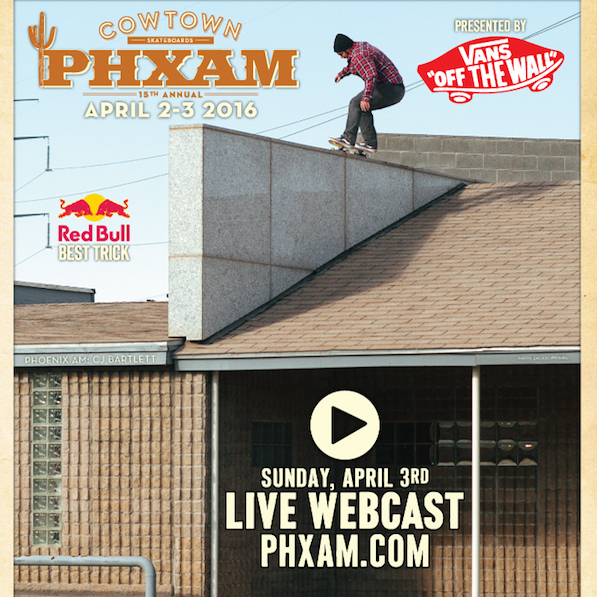 Congratulations to Cowtown Team Rider Dashawn Jordan on becoming the first ever SkateAZ SOTYH! 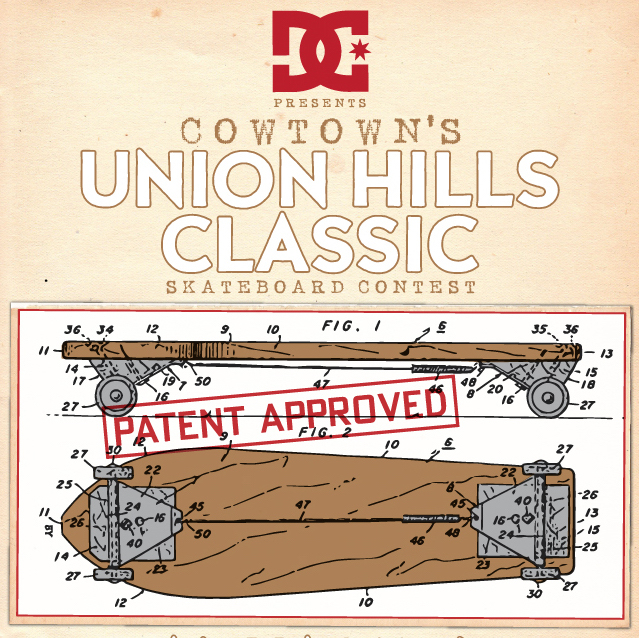 DC Shoes Presents the 2016 Union Hills Classic Skateboard Contest and Demo January 16th! 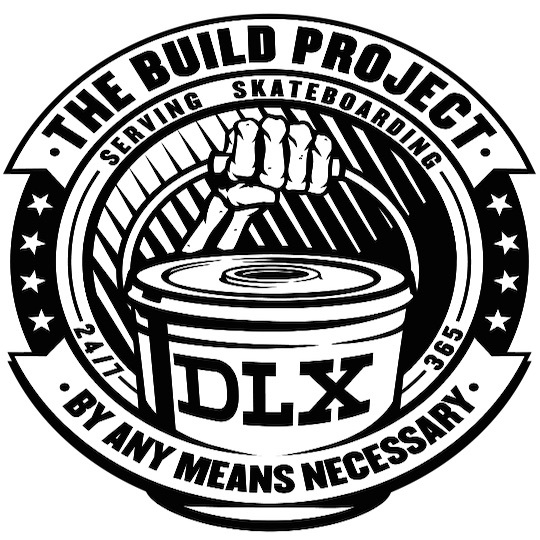 Watch Cowtown friends and family skate the new DIY spot in Phoenix..